Commercial pressure washing services by R&R Commercial Surface Cleaning Company in Miami, Florida. We provide commercial pressure washing for Miami Dade and its surrounding communities in South Florida. Our commercial pressure washing services are equipped to handle concrete, pre-cast stone, limestone, and more. We are confident that we can exceed your expectations. We utilize sophisticated equipment that is one of a kind; and to the best of our knowledge, is used by no other company in the industry here in Miami and South Florida. All of our pressure washing work is guaranteed to leave your home or business looking brand new. We have men available ready to help you with your roof cleaning, driveway pressure washing, or residential pressure cleaning during your emergency. Call us today. Sunny tropical weather in Miami, Florida is popular worldwide and gives us a chance to enjoy the outdoors. However, when our commercial properties and residential homes are exposed to extreme conditions, humidity, sunlight, and rain throughout the year; it is bound to build up mold, grime, and dirt. This accumulation is especially damaging to paint. Not only will the growth of weeds, moss, and algae be nasty, but they also portray unwelcoming sight, making the space greasy and dangerous. Most commercial properties that have a stained and dirty look give people the perception that it provides a below average service or product. As a busy property holder, it is easy to let exterior house cleaning fall by the edge. For this reason, we offer the most competitive pressure cleaning services to business and homeowners with a professional cleaning company. A property will gradually start to give an unattractive appearance without undergoing any kind of pressure washing maintenance. Under these humid weather conditions, a speedy and economical way to clean a building, whether it may be commercial or residential, is by utilizing pressure washing machines. So what is pressure cleaning and how does it work? Pressure Washing is a technique of throwing water at high pressure, removing or cleaning different materials from a surface. This high-pressure water spray aims to eradicate loose paint, grime, mold, dirt, mud, chewing gum and dust from surfaces and objects including buildings, concrete driveways, and vehicles. It employs a professional size pressure wash machine that runs at least 3500-4000 PSI (pounds per square inch), 11.5-14 horsepower; anywhere from 4.5-10 gallons in a minute. A pressure cleaner machine is set with a high-pressure water pipe and nozzles that lead to a diverse spray pattern or alter the extent of water that will flow out ranging from 45 degree- 0 degree. In particular, water pressure cleaning is reserved typically for tough surfaces such as brick, concrete, and treated lumber decking boards. This type of cleaning is mostly utilized by businesses and homeowners in Miami to diminish dirt, grime, and perk up aesthetics especially due to the unexpected weather conditions in the city. Pressure washing is generally something that most of the people have used in their houses for years. However, operating the machine appropriately is a work for professionals. Here at R & R Commercial Surface Cleaning, we offer immaculate services for cleaning residential and office buildings. Our company has a team of experts with over 20 years of experience who can recognize the difference between various stains. Having a deep knowledge is essential because only then you will be able to choose between the right tools and services. Power Washing is a method of removing surface material such as dirt, mildew, cast and other pollutants from the exterior features of your house or commercial property. It involves applying extreme pressurized water onto a surface. Power washing services utilize a high-pressure flow of extremely hot water, blowing up materials and dirt from outdoor surfaces. The blend of high-pressure water flow and the temperature of the water results in removing “hard-to-get” spots in a better way. Moreover, it is also handy for assisting the control of moss and weeds, because a powerful blast of hot water can exterminate them and impede their instant re-growth. It is perfect for any circumstances where the surface is greatly drenched or has a lot of dirt or other substances to clean off. Power washing companies generally use this process to target outdoor patios, driveways, decks, and more. Owing to the exposure of added heat in these areas, power cleaning services become highly effective at removing things like chewing gum from sidewalks. Furthermore, it is unusually great for managing grease stains on driveways or garage floors. Although the temperature of the water makes it easier to break down the tough substances from the surface; however, the extreme pressure makes it highly dangerous to an unprofessional. Additionally, power washing is done with a high force, it is suggested that it should only be utilized for hard, external surfaces like sidewalks, patios, fences, decks, and driveways. On the contrary, water pressure cleaning services utilize a normal water temperature. A pressure washing surface cleaner is an apparatus comprising of two to four high-pressure jets on a revolving bar that spins when water is flowing. This process creates uniformed cleaning patterns that can cleanse flat surfaces at a speedy rate. As the name suggests, professional pressure cleaning is contingent upon the force of water instead of its temperature. The strength of this water draws out a higher pressure and aims to wash away the dirt, mildew and other unsafe materials. Similar to power cleaning, pressure washing also uses heavy machinery and must only be performed by an expert pressure washing company. In a world where aesthetics play a vital role in representing a brand or an individual’s personality, pressure washers are an excellent tool to employ for residential pressure cleaning and commercial pressure cleaning. It is a strong instrument that is effective for removing unappealing spots and contaminants from the hard surface while restoring the visual outlook of a building. Apart from that, you can get more benefits from employing pressure cleaning in Kendall. In contrast to conventional cleaning methods such as scrubbing the driveway in this humid Miami weather, pressure cleaning is an anti-bacteria blitz. Investing in our services will assist you to cut out the time required to gather materials, mix up a cleaning solution of suitable strength, and experience a painstaking half-day or more of brushing and scrubbing. Pressure cleaner services eliminate time-consumption in cleaning work by simplifying your work by pointing a nozzle at hard-to-reach areas. Water usage for cleaning work can reduce the requirement for storing potent yet hazardous chemicals. Adding high pressure to the hot water will perk up the effectiveness of cleaning. The difference in temperature of the water can come into handy for various applications. Hot water offers cleansing power for washing rather than adding cleaning chemicals. The heat impacts the trouble areas by warming up dirt particles. No additional chemicals are needed. On the other hand, cold water can be utilized as a force method for projects such as eradicating of mildew. Are you planning on selling your house? Increase your property’s worth by choosing a local pressure washing service at affordable prices. According to a survey, cleaning a building can instantly increase its sale price. The benefit of the cleaning service is obvious as it will only cost a fraction of the return perspective. Also, it gives a lasting first impression that will help at the time of selling a property. A home is more than just a building. The reason behind its importance includes the safety of the people living in it. Here at R & R Commercial Surface Cleaning we understand this and suggests cleaning for protecting the health of your family members. 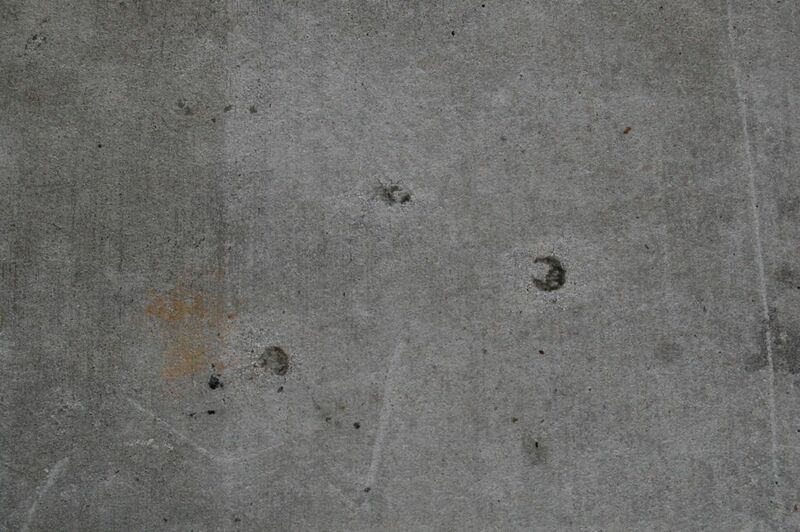 There are several contaminants that stick onto surfaces over time including exterior walls, sidewalks, and decks. However, some of these can have adverse health effects. Algae, mold, grime, and mildew can mount up where you are living. Blasting away these detrimental substances by utilizing power cleaning services will minimize your family’s risks of breathing microbes in a clean environment. Investing in a regular maintenance residential pressure washing services plan will help you save thousands of dollars in the future. It is considered as an overall preventive effort that can keep your dwelling in excellent shape. This process can obstruct the premature decay of your driveway, porch, or deck, improving the resale value significantly. Given that the pressure cleaning companies do not utilize dangerous chemicals in the process, they do not harm the natural greenery. For instance, flowers, grass, and shrubs that you meticulously plant will not face any damage. Electric pressure washers mostly draw 1.5 kilowatts in an hour to function. This is approximately the same amount of wattage utilized when running an air conditioner for about an hour. Although commercial pressure cleaning might use more resources when weighed against a bucket of water and scrub, the ecological cost can be less. The electricity can be compensated by simply balancing the use of the same amount of kilowatts from everyday power usage. In addition, turning off other appliances will bring stability to the carbon footprint. 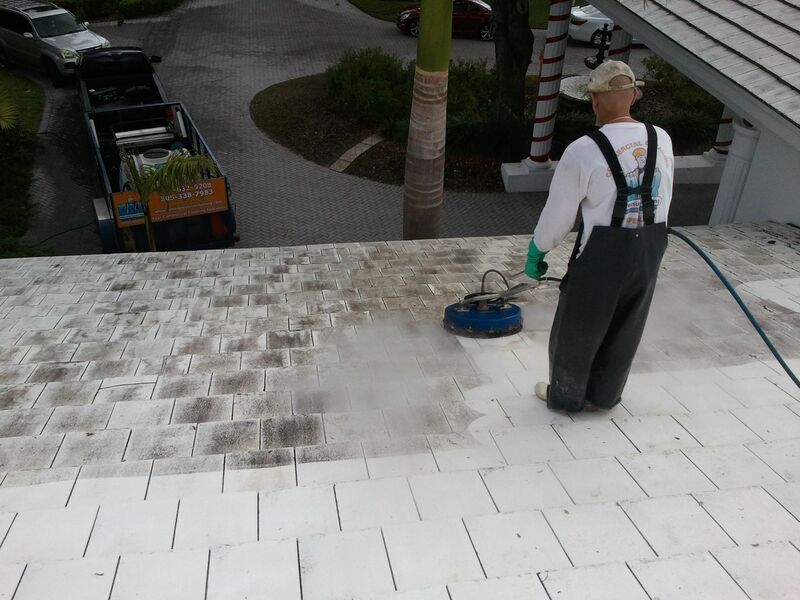 Although pressure cleaning services are cost-effective, quick and an attractive alternative to cleaning the exterior of the buildings in this humid Miami weather; the process is a bit more complex than it seems. One wrong move and you are in for a major disaster. For this reason, you must opt for a professional pressure cleaning business that can guarantee the safety of your property. R & R Commercial Surface Cleaning uses the most recent state of the art cleaning technology. We ensure that our equipment is 100% eco-friendly and utilizes cleaning agents that are not harmful to you or the environment. We offer premium quality power washing and pressure washer services employing soft chemicals that will not destroy the color of surfaces. We have served numerous clients in Miami, Florida and a preferred choice in the locality. Get a professional pressure cleaning service from us and improve the aesthetic of your property while receiving the essential health benefits. We pride ourselves on offering an ultimate solution for effective pressure washer services. Power washing and pressure cleaning are terms that are generally used interchangeably. However, the slight distinction between the two can lead to either a beautiful building or an unexpected mistake. This is why it is essential to know about the areas where these two processes SHOULD be utilized or avoided. For normal household use, a pressure cleaning service is an effective method given that it is not very harsh on the surfaces. This feature makes it perfect for use on surfaces such as brick, masonry, and concrete. So a pressure washer is a piece of ideal equipment that can be employed for removing mold, dirt, and mud from your deck or patio. You can also utilize a pressure washer to clean wooden surfaces, such as wooden fences, house sidings, decks, gazebos, stairs, and even wooden outdoor furniture. However, it is vital to know the exact amount of force that will be safe for each of these materials. Hiring a local cleaning service is a smart decision because they would know the precise force each wooden surface necessitates after carefully examining the condition of an object. In addition, water particles can set themselves deeply in the wood, causing it to bend and rot. If you are looking for a clean driveway or a neat garage floor, then pressure-washing service is a great idea. Brick and concrete driveways are challenging to clean especially because they constantly exposed to the humid weather of Miami. Getting rid of the sturdy grease and oil stains is a job for the high-pressure nozzle and a perfect blend of detergents. Additionally, these high-pressure washer machines can also blast out the moss and unwanted growth of weeds. If you own a boat, then you definitely know the hassle of keeping it clean, and even then you will miss out on a few “hard to reach” spots. Moreover, there are several different materials utilized to manufacture a boat and not all of these can take conventional scrubbing. Our cleaning service is versatile because it can adjust to a variety of surfaces and a range of cleaning tasks is ideal if you happen to be a boat owner. Metallic surfaces can also benefit from a high-pressure cleaning service because it removes all the sticky pollutants from areas that are otherwise, difficult to reach. Professional pressure cleaning companies will be aware of the exact distance to keep when removing mold and dirt from these metal surfaces because the high-pressure nozzle can scratch the surface. Call us today for a free commercial pressure washing estimate. We provide the most competitive pricing for any commercial cleaning job. Give your business the fresh look it deserves! 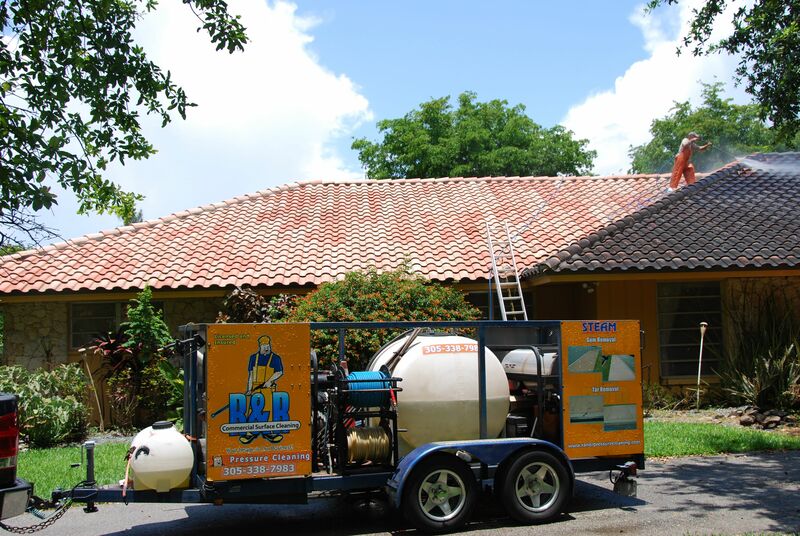 Here at R & R Commercial Surface Cleaning, we focus on providing homeowners and business owners the best pressure cleaning service in Miami, Florida. By providing competitive pricing, professional work, and customer service we have developed relationships with some of the biggest businesses in Miami!